The invention of the boat was a technological breakthrough that brought forward a new way to explore the world. The first boats were made by the Egyptians and were used to transport goods along the Nile River. Over the centuries, boats became more and more sophisticated to the point that they could cross oceans. Great explorers such as Christopher Columbus, Vasco Da Gama and Ferdinand Magellan explored the Atlantic, Pacific and Indian Oceans and everywhere in between. Today, boats that are used to explore come in all shapes and sizes from a single person kayak to multi story cruise ships that have their own casinos, restaurants and theme parks. Even though times and technology have changed, the lust of travel and the need to explore still captivates people of all ages. Even though technology has advanced tremendously and the globe has been mapped completely, adventurous travellers continue to retrace the routes taken by famous sailors and explorers that have shaped the world as we know it today. People lucky enough to own their own boats decide to explore by sailboats, canoes or dingies while others prefer speedboats to get where they’re going. For the average person whom does not have the luxury of owning their own boat, a cruise is the most popular mode to do their exploring. Cruises can come in many shapes and forms. Some cruises are day long excursions, visiting one destination. These are more than likely very basic sightseeing cruises that are economical. A good example of this might be a day spent snorkeling with sea turtles or sea lions on the Galapagos Islands. On the other end of the spectrum are cruises that encompass entire months, cruising from port city to port city, eventually circling the entire world. These are luxury cruises that may cost in excess of £100,000 or more. In the middle are one week to two week cruises that many tourists enjoy on their yearly vacation. Good examples of this include cruising the Greek Islands in the Mediterranean Sea, Exploring Alaska during the long summer days or discovering the many islands in the Caribbean or South Pacific. 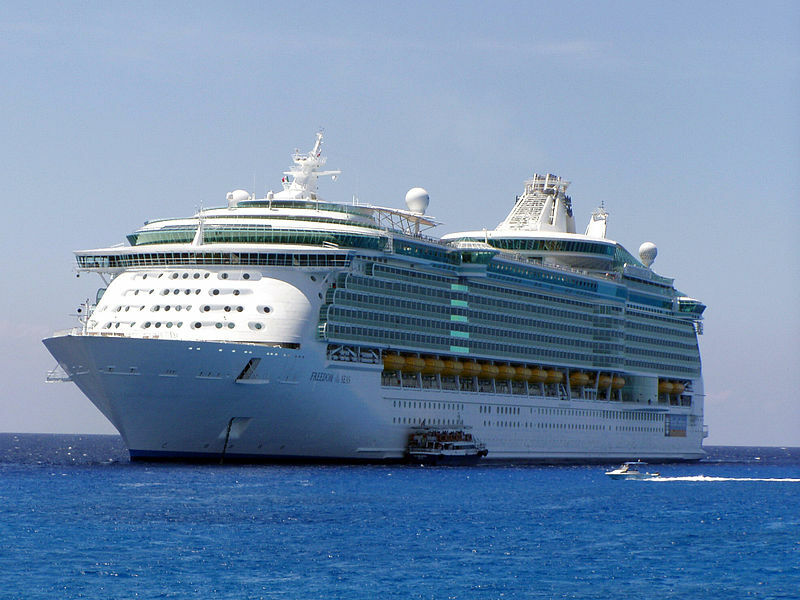 If you’re debating on whether or not to go on a cruise, the best advice is on this site. Cruise 1st is owned and operated by Royal Caribbean Cruises Ltd offering you a 100% financial guarantee and the knowledge your booking is safe. They are also fully bonded members of the ABTA, (Association of British Travel Agents) Great Britain’s most prestigious travel association. All this means that you can rest assured knowing that any investment you make in a cruise is money well spent. Cruises travel to all the parts of the world, departing year round. If you decide to go on a cruise at the last minute, it’s no problem as there are many last minute deals at discounted prices so they can fill cabins. Don’t have a lot of money? There are cruises available to everyone on all budgets. If you’ve already planned your cruise and you’re looking for activities at your destination, click here. Lonely Planet is the world’s leading travel book producer and has books on every part of the world. Worried about the weather and what the upcoming forecast is going to be? The Weather Channel has up to minute forecasts all around the world.